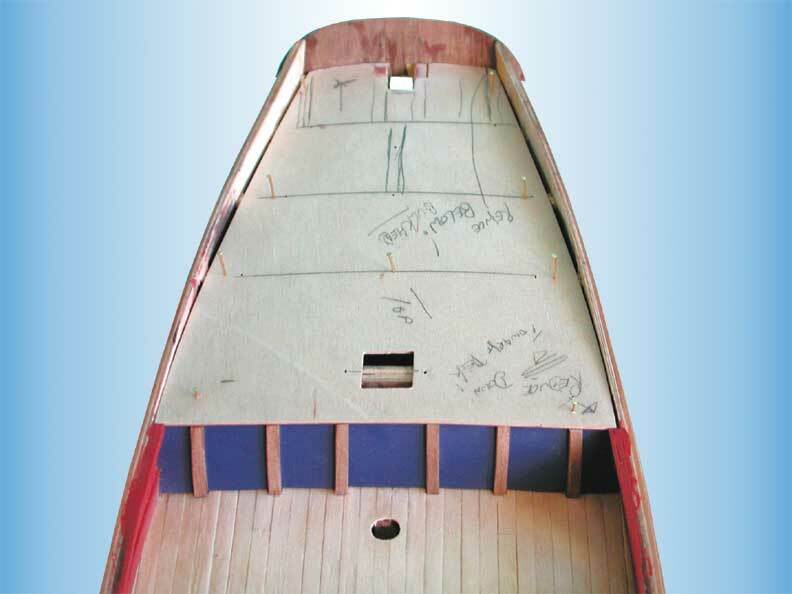 JoTiKa Ltd. ~ HM Bomb Vessel Granado Construction Page 4. Stern fascia and stern counter fitted. Note decoration and after port fittings yet to be fitted. 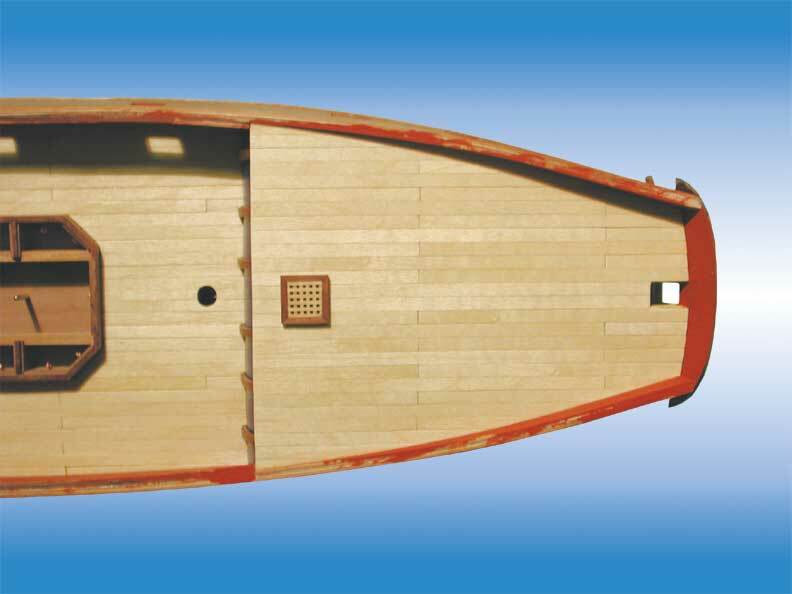 Quarterdeck planked and companionway lined. 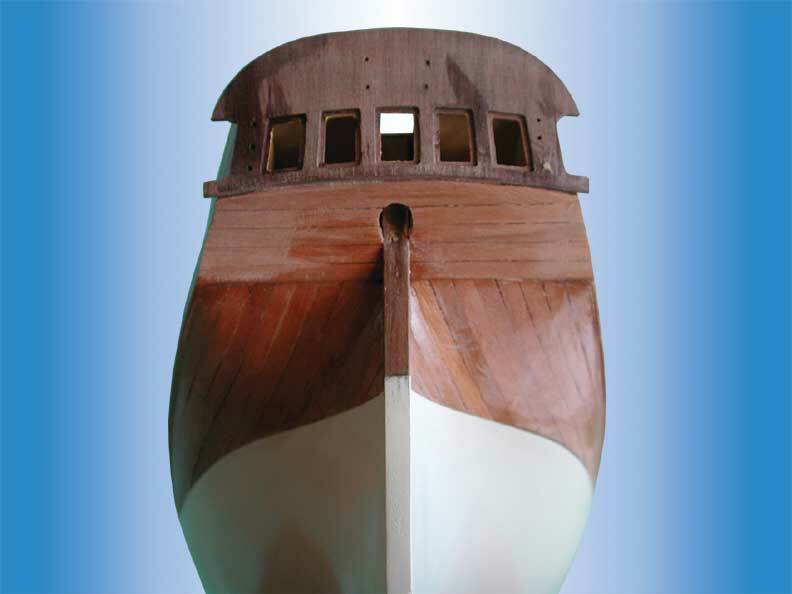 Close up view of the quarterdeck and curved quarterdeck bulkhead. 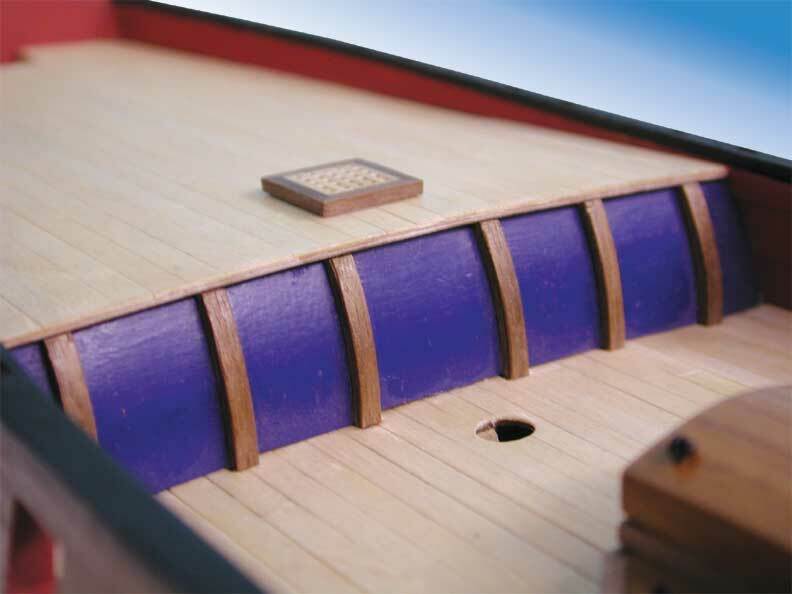 Close up view of the forecastle with capping, timberheads, knightheads, ladders and lower part of galley flue fitted. 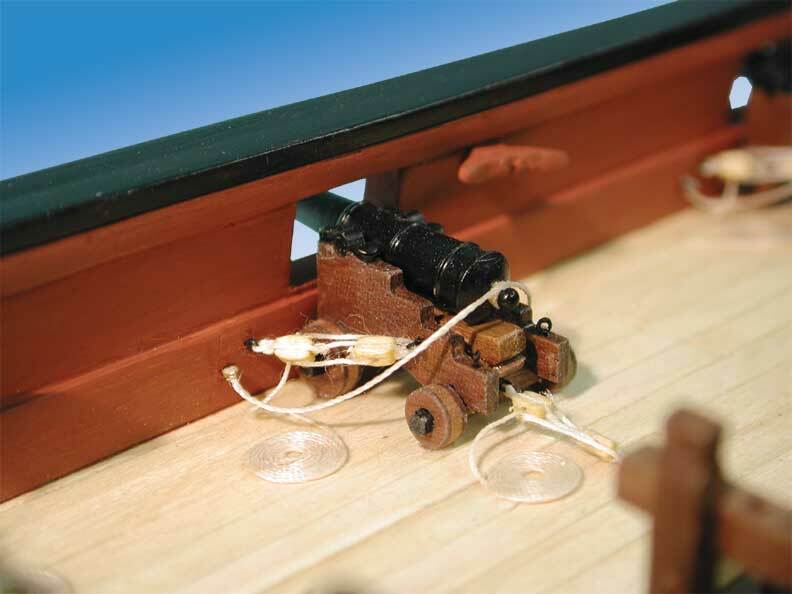 Close up view of the painted inner bulwark, spirketting and fife rail. 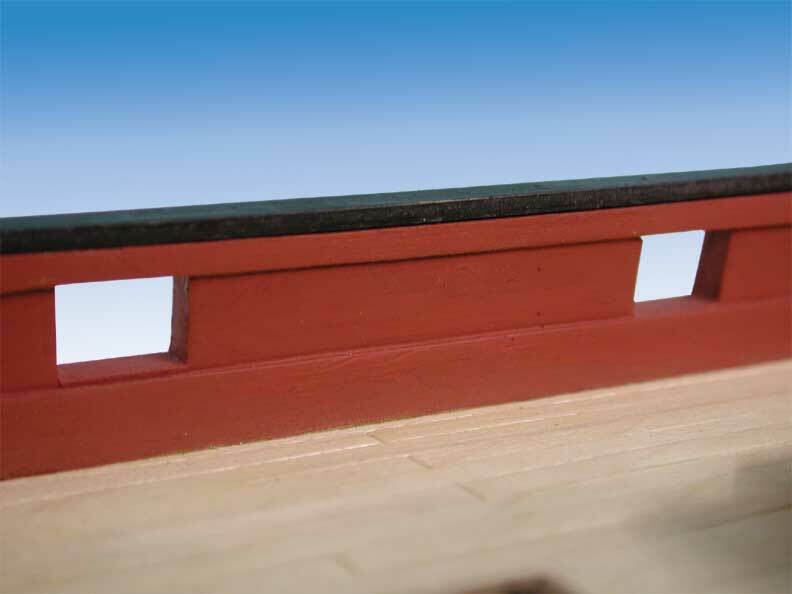 Note, the inner face of the capping rail has been painted black for photographic purposes, it should also be red. 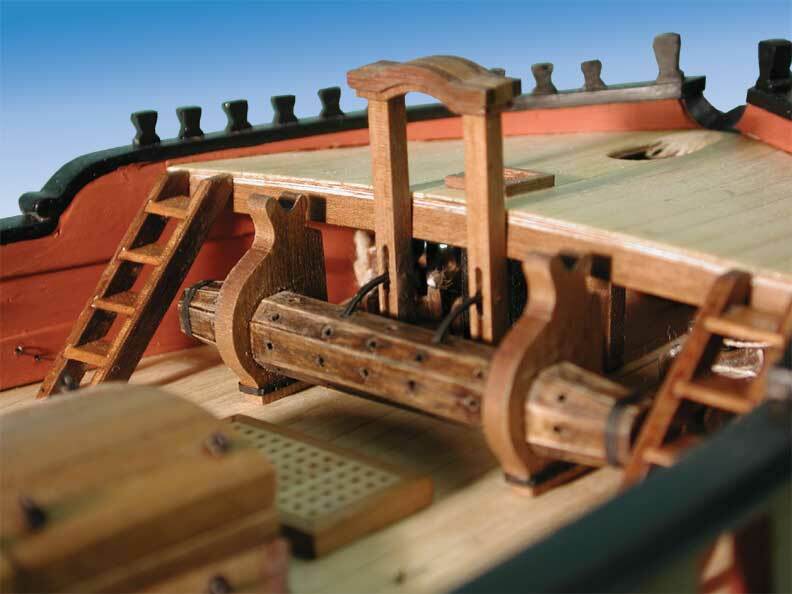 Fully rigged 4pdr carriage gun. Note the unusual position of the eyebolts in the bulwark. Usually these would be fitted higher and closer together, on Granado they were fitted this way to ensure they were at the strongest point possible. Belfry and windlass temporarily fitted. Note the belfry headstock and bell are yet to be fitted. 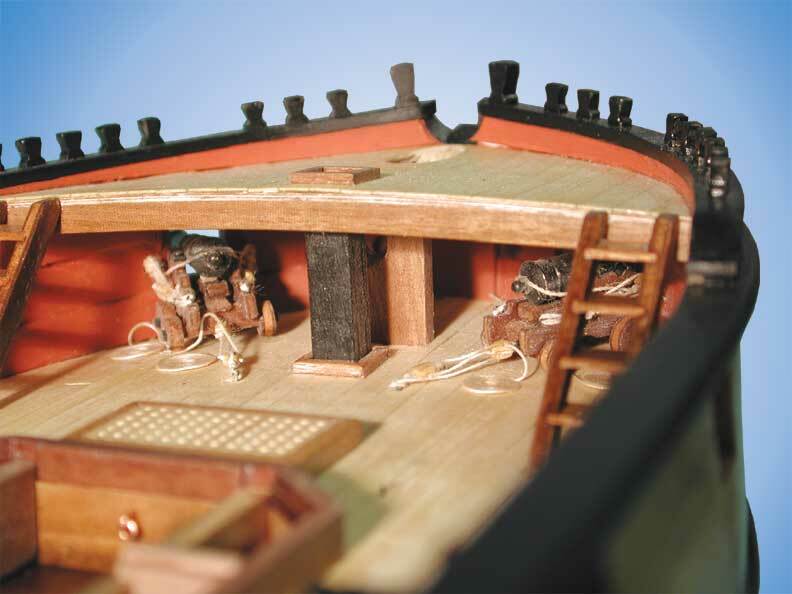 Note also that the windlass fitted to Granado did not have a standard, allowing room for the bow chase guns.